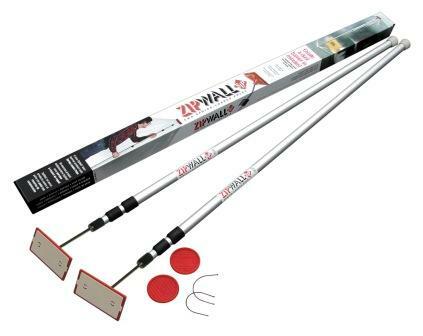 Add to your ZipWall barrier system two poles at a time. These aluminum spring loaded poles extend from 4’ 7” to 12’. Includes: 2 Spring Loaded Poles, 2 heads, 2 plates, 2 Grip Disks, and 2 tethers.